Thread: [ANN][ICO]  BUYYOM  The Crypto Trading Exchange! 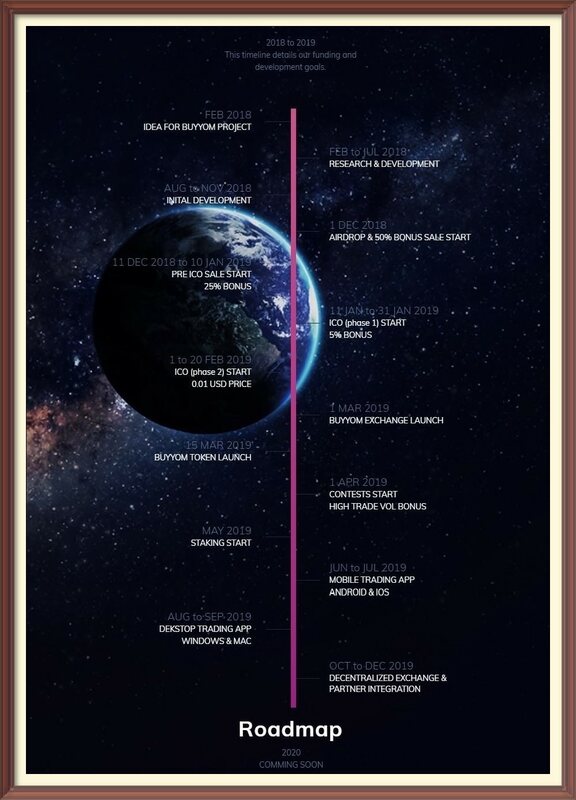 Our token Buyyom (BOM) is currently being developed as an ERC 20 token leveraging the Ethereum Network. We want to start initially as a centralized exchanged offering people some cutting-edge features which are integral in making the trading experience smoother and tracking the portfolio of your holdings much easier. Buyyom is built with service in mind. Buyyom shares support responsibilities across the entire staff and company. When a trader has a problem, they get an answer directly from someone who knows the system and more. Poor internationalization and language support BlockChains have no borders. Most exchanges focus only on one language or one country. Our international multi-lingual team has extensive working experience in North America, Europe and Asia, and we are able to smoothly support the global market. Buyyom’s matching engine can sustain an astounding volume of 1650000 orders/ second, making it one of the fastest independent exchanges in market today. We can assure you that our state of the art matching engine will ensure that your orders are executed when you want them to be. [color=black]We will support currency conversion powered by shapeshift to help convert directly in our exchange without hefty extra fees. The user can directly convert the said currency into their desired supported currency and can have the withdrawal directly into their wallet saving in on the double fee and the long route to initial trading and then taking a withdrawal from exchange hitting with double fees. We plan to partner in future with credit and debit card providers to ensure that our customers can buy cryptocurrency as easy as an Amazon or eBay transaction. This means they can expect a saving on their every transaction, be it to purchase and withdraw this help decrease the friction and help in the liquidity of their funds. We will make intuitive and easy stop loss and profit taking system that ensures that you are not left guessing how to place proper stop losses. This makes sure that the user can use the interface intuitively and can use percentage based values to update their stop loss or stop. We will make it easy for our customers to track their portfolios as well as ROI while giving them a clear easy to understand interface. Peer to Peer exchange facilitated by our platform to ensure security. Users can create advertisements with the price and the payment method they want to offer. You can browse our Peer to Peer for local and offline trades’ advertisements and search for a payment method you prefer. We will act simply as an Escrow service being a mediator between two exchangers ensuring transparency and safer trades with minimum risk of fraud. Buyyom’s matching engine can sustain an astounding volume of 1650000 orders/ second, making it one of the fastest independent exchanges in the market today. We can assure you that our state of the art matching engine will ensure that your orders are executed when you want them to be. 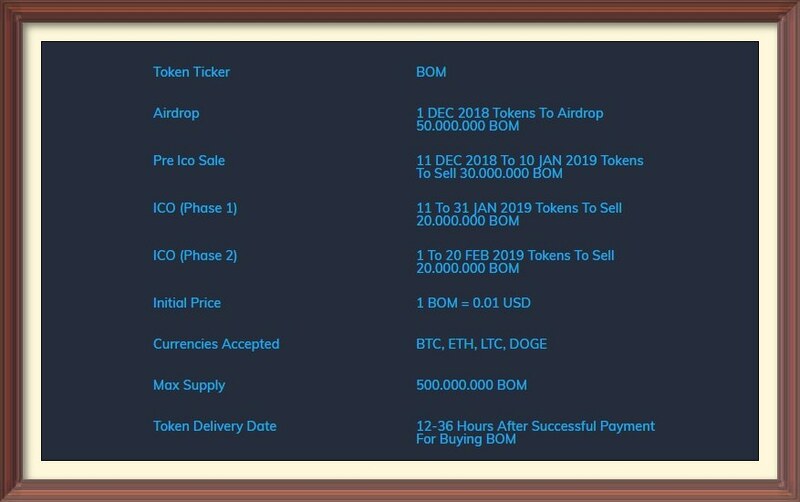 Distribution of BOM Tokens will take place within 12 to 36 hours of purchase or earned to the individuals. 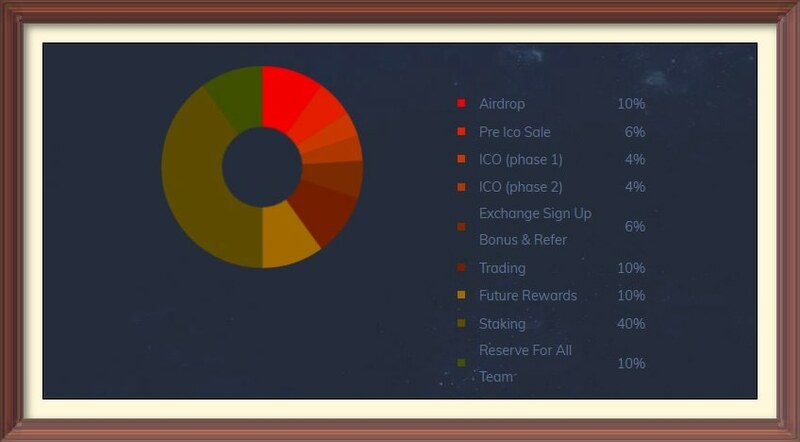 It is the shortest timeframe in the history of ICOs for Token distributions.